Yesterday, Samsung Malaysia introduced a new comer to the NX series in Malaysia which is the Samsung NX3000 SMART Camera price at RM1699 which comes with state-of-art specification and designed to look retro and slightly antique looking design which looks pretty classic from the outside with high end specifications and features in the inside. 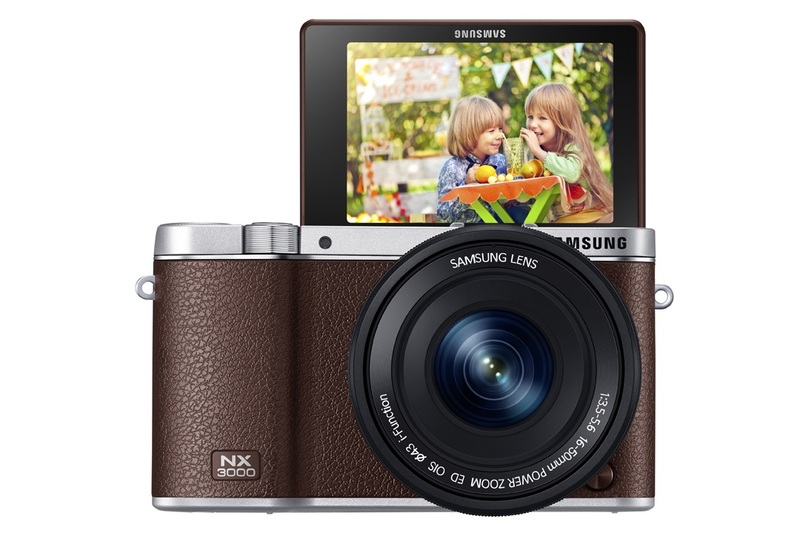 The Samsung NX3000 SMART Camera comes with a powerful APS-C CMOS Sensor. It comes with 20.3MP and you can actually shoot at 5fps continuously with the shutter speed of 1/4000. The end result will be a crisp clear photo captured beautifully without any huge effort required. That simply means even if you’re not a professional photographer, the end result from this camera will still look decent. Nowadays since Selfie is already an official word in the dictionary itself, you will be definitely wanting a compact camera to do such shots perfectly but without a front camera how do you do that? Simple as the Samsung NX3000 SMART Camera comes with a 3.0-inch Flip-up Display and to add the goodness, there is a feature called “Wink Shot” which does what it says, you just have to wink to the display and the shot will be taken immediately without any extra hassle or even having to press the shutter button. Now that’s a decent feature where we will surely use most of the time! Since its a SMART Camera, the Samsung NX3000 has the well known Tag & Go feature where you can share your photo seamlessly with the presence of WiFi and NFC on the camera itself. There will be three colors made available to purchase here in Malaysia, which are white, black and brown. Oh not to forget, it will be bundled with Samsung’s 16-50mm F3.5-5.6 Power Zoom ED OIS Lens.You can already purchase one of these or even try it out at any Samsung Experience Stores or any Samsung authorized dealers. Will you get this retro looking SMART Camera? You will surely love the looks somehow. Full specifications are below. AutoShareAuto BackupRemote Viewfinder ProMobileLink (Group share up to 4 people)Photo BeamSamsung LinkHome Monitor+* Note – The availability of each service may differ by country.